To celebrate 40 years of Seiko’s luxury brand Credor (debuted in 1974), the introduction of a new limited edition Signo model has come forth. You may remember a few weeks ago when we shared a live experience of Seiko’s Master Engraver, Kiyoshi Terui, doing a hand engraving at the Baselworld Fair (which can be seen HERE). This was a sneak peak of what we knew was coming, but was not officially released until today. We are proud to introduce the first Credor model ever to make its way to the USA, the new Seiko Credor 40th Anniversary Signo Cherry Blossoms Skeleton GBBD965. This new limited edition model will express the motif of cherry blossoms with 3 pink mother of pearl cherry blossoms, floating down a stream from the 3:00 to 6:00. The blossoms symbolize Japanese aesthetics, with every part of this skeletonized movement hand engraved by Seiko’s artisan, Mr. Terui. The ring around the outer edge of the dial is a blue toned mother of pearl, with a 37.4mm wide, 6.6mm thick platinum 950 case. Seiko has utilized their 6899 ultra thin hand wound caliber in this new limited model. 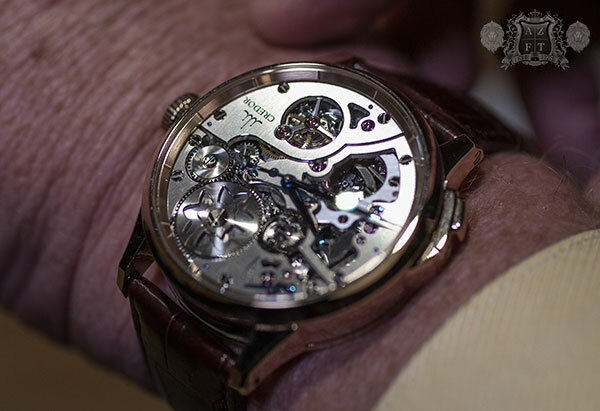 The movement itself is is a part of the caliber 6800 series, which was actually developed in 1969. The hand engraving executed in this model has to be within an extremely tight tolerance. 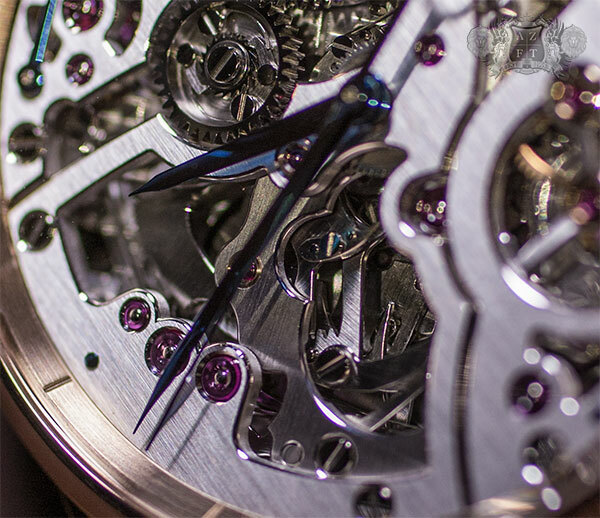 The movement itself is only 1.98mm thick, and parts in this caliber can be as thin as 0.25mm thick. A delicate depth of only 0.15mm can be engraved on the components, and the artists patterns engraved are within an astounding 0.01mm tolerance. 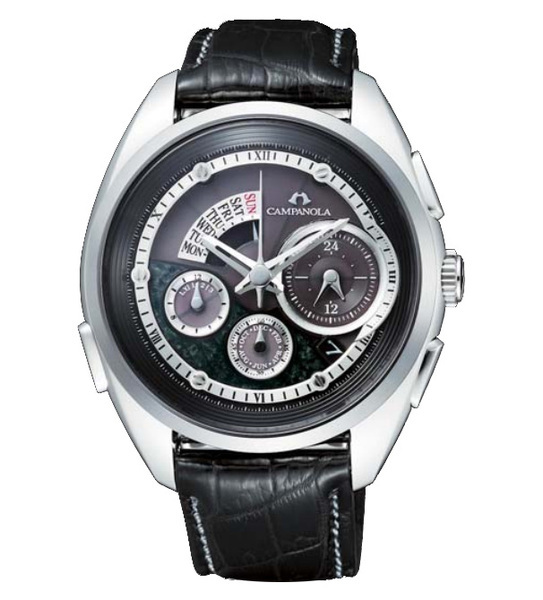 The 6899 caliber has a 37 hour power reserve in order to keep a +25/-15 second a day accuracy rating. While this is not going to be close to the actual performance (as we have learned in other Seiko timepieces performing much better then their rating), this is extremely difficult to achieve in a movement this thin. This dual level movement has a unique feature in order to achieve stable accuracy. 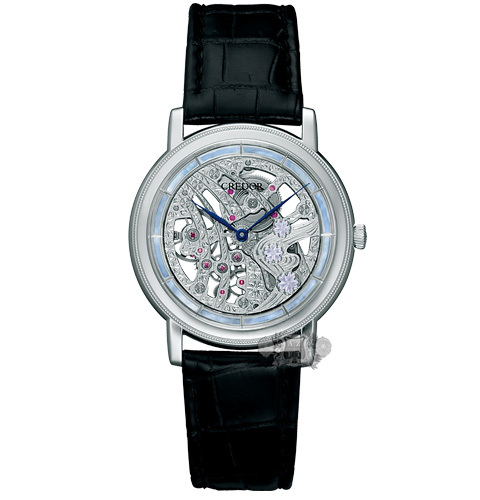 Due to the skeleton design of this caliber, air resistance in the balance is reduced and the swing angle of the balance increases. To correct this, a “torque control wheel” is used to control the stability of the watches accuracy and improve the swing angle of the balance. 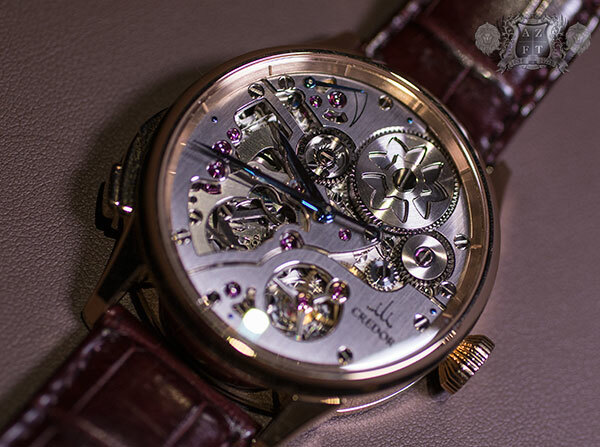 This caliber is produced in extremely low volume at Shizuku-Ishi Watch Studio in Morioka, Japan. The 40th Anniversary of Credor is expressed in engraving on the case back. In the highlighted area in the image above, “CR. 40” will be engraved subtlety. Arizona Fine Time is extremely proud to be receiving very few of these extremely limited models, with only 40 pieces produced for the entire world. The MSRP on the GBBD965 is $26,000 and is scheduled to be released by the end of 2014. 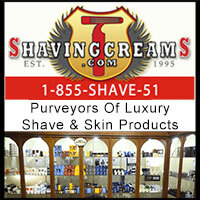 If you have any questions, please feel free to call us at 1-800-486-3996 or submit an inquiry to AZFineTime.com. 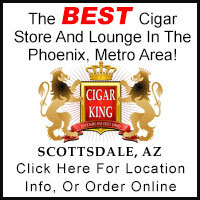 Today, Arizona Fine Time is proud to share a truly unique experience with our readers that no company in the USA has ever shared before. 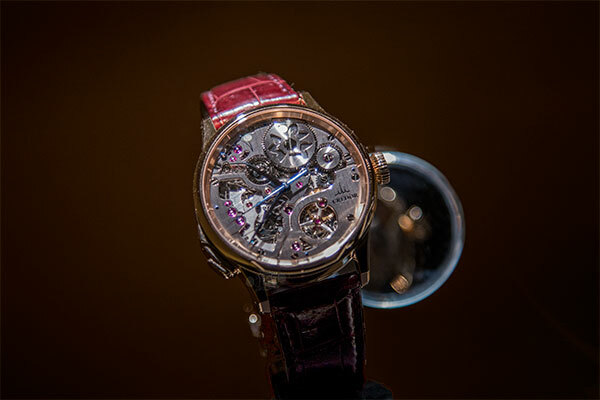 At Baselworld 2014, we had the distinct honor and privilege to view Seiko’s most outstanding achievement in horology, the Seiko Credor Masterpiece Spring Drive Minute Repeater GBLS998. 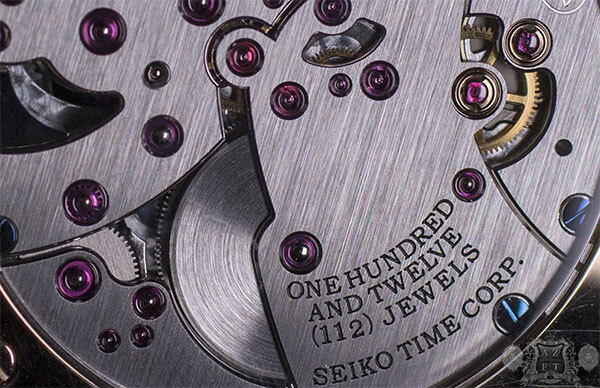 This is not only an outstanding achievement for Seiko, but also can easily be labeled as the most accurate, most pure sounding minute repeater in the entire watch industry. 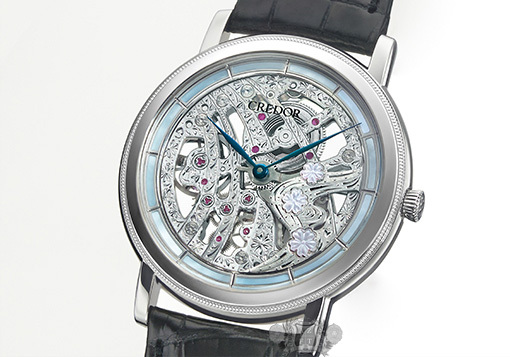 With 660 parts, 112 jewels and a finish that became know to be one of the finest, the Credor Minute Repeater is a truly special and unique piece that the most seasoned high complication collector can appreciate. 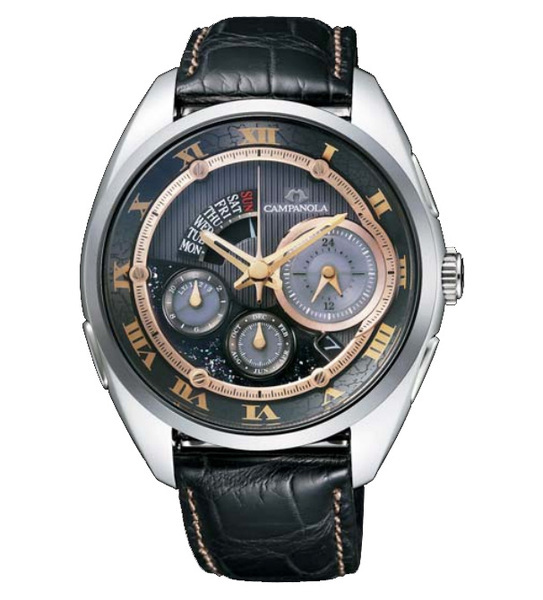 To start, the repeater we viewed was a sample used for the Baselworld Fair. 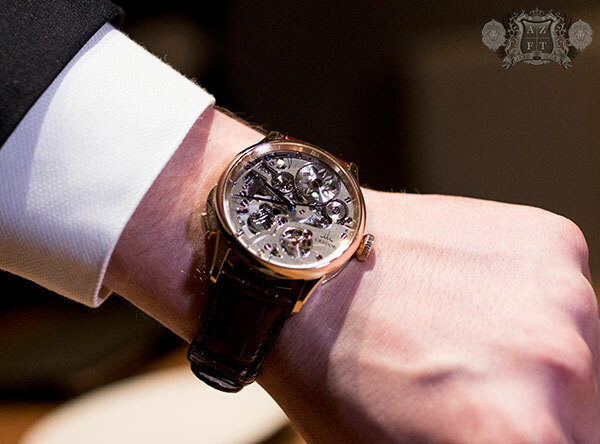 This specific piece functions only in the minute repeater, not in actual timekeeping so that the hands do not move while on display, and show the skeletonized dial at its full potential. The time displayed on this piece is 9:42 and when this decimal repeater is engaged by pushing the lower left button, the time will be expressed in chimes coming from a mechanical hammer and gong system, chiming in a low pitch tone for hours, a double chime for ten minute increments, and a high pitch tone for individual minutes. Expressing this time, the low pitch chime will sound nine times (for 9:00), the forty minutes will be expressed by four double chimes, and two high pitch times will be added to equal 9:42. The case back exposes the hammers that strike a pin, in turn making contact with the gong. An aspect of the system utilized to achieve pure sound includes two cases. One, a 42.8mm wide, by 14mm thick, 18k pink gold case completely finished in the mirror like and hand applied Zaratsu katana blade polishing technique. 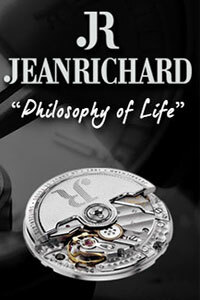 The inner secondary case is composed of steel to create resonance and prevents water from entering the movement, though the watch is not water resistant. Between the two cases lie the gongs. The gongs are made of a unique alloy of steel, supplied by Munemichi Myochin, a 52nd generation black smith who specializes currently in his award winning wind chimes. His family originally started as blacksmiths making armor as far back as the Heian Period (794 to 1185 A.D.). Once the period of feudal Japan diminished, the demand for armor fell and the Myochin family went on to produce fire tongs around the Meiji period (Sept 1868 – July 1912), a once necessary item in any Japanese household. It was discovered that once the tongs were struck together, they produced a beautiful sound. Today, Munemichi Myochin carries on his families over 850 year old legacy in producing some of the worlds most renowned wind chimes, which he himself started making back in 1965. These wind chimes produce a beautiful resonating sound that maintain the same impressive clear tone, without effect from surrounding factors such as temperature or humidity. Sony uses these wind chimes to test the quality of their microphones, they are commonly used in Japanese movies for sound effects, and even celebrities have raved about their sound. As an example, Stevie Wonder was gifted a set of Myochin wind chimes as a gift by Japanese composer, Isao Tomita, and he was amazed by the chimes calling it something along the lines of “a magical sound of the Orient”. 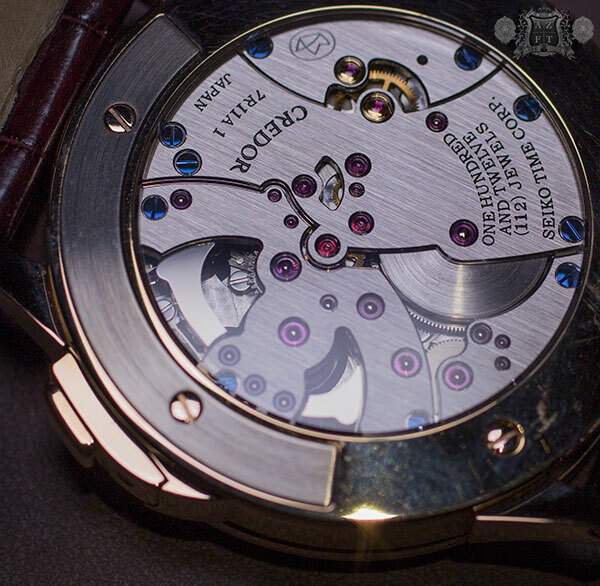 The gong of the Credor Minute Repeater is only 0.6mm which is necessary to achieve the perfect tone. It took months of testing to ensure the frequency, volume and gradual loss of intensity replicated the his wind chimes. These tests (of course) were done on machines manufactured by Seiko Epson. 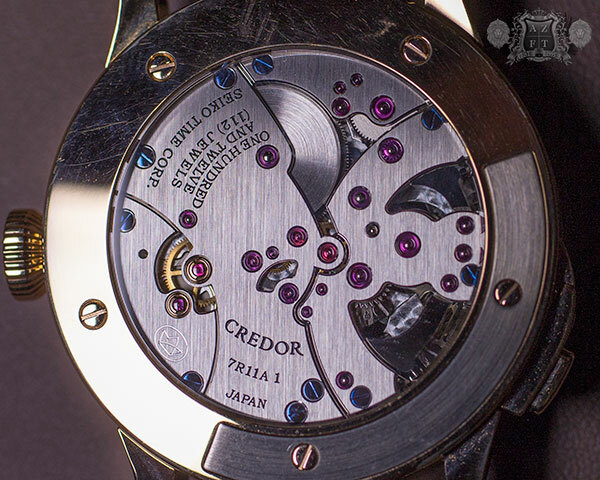 I mentioned that this Credor has one of the most pure sounding repeaters in the entire watch industry. 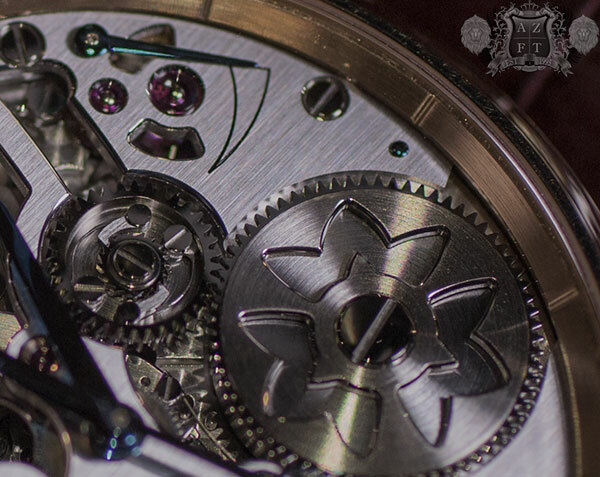 One of the reasons behind this statement is that the 7R11 Spring Drive movement used does not produce the “ticking” sound of a traditional escapement. 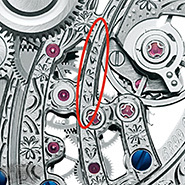 When a traditional escapement minute repeater is engaged, the “ticking” of the regulation mechanism can be heard also. It has to in order to keep accurate time. Spring Drive does not produce a “ticking” noise as the regulating mechanism does not have the balance wheel/hairspring swinging back and forth, making the noise when the escapement wheel make contact to the pallet forks jewels. 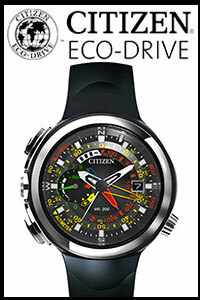 Spring Drive is Seiko’s own proprietary in-house manufactured technology (which took 28 years to develop), that utilizes what is called a Tri-Synchro Regulator. As the mainspring unwinds, the mechanical energy not only provides movement to the gear train, but also a small amount of that energy is used to generate enough electricity to power a quartz oscillator and integrated circuit. The high frequency of the quartz oscillator (32,768 Hz) is translated through the IC to an electro-magnet which controls a uni-directional free spinning wheel (glide wheel-what would be the balance wheel) to turn 8 times per second and regulate the unwinding of the mainspring. Because this wheel only spins in one direction, and does not have to make contact like an escapement would, the movement is silent, and does not contribute any sound to distract from the repeaters chimes. You also end up with quartz like accuracy at a +/-15 second a MONTH accuracy rating (but tends to perform much better), and a uniquely smooth, gliding second hand. The other characteristic of the Credor Minute Repeater that makes it so pure sounding is in the governor that paces the striking of the hammers is also silent. The elimination of the buzzing sound found in some other repeaters is achieved by using a fan blade type system and uses the viscosity of air to create resistance and rotate the blades at about 300 times per second, controlling the speed of the mainspring unwinding, which causes the hammers to strike at precise intervals. This again, allows the chimes from the gongs to be pure and have no other factors possibly effecting its sound. While a silent governor is not completely unique, this method is completely unique to Seiko’s repeater (as well as their Sonnerie model). The end result gives not only pure sound of the chimes, but a slightly slower pace then most other repeaters, allowing the chimes to linger for a longer time. The hand wound caliber has a unique barrel housing the mainspring. A twin barrel system is used to share the power for the time keeping and repeater function. 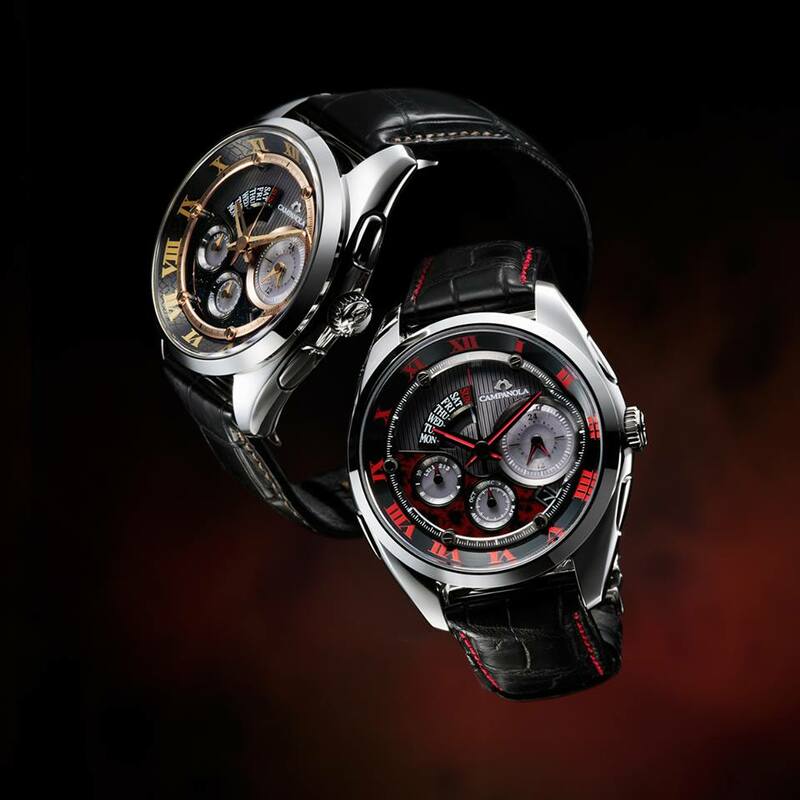 With one barrel in front, and one in back, the GBLS998 has a power reserve of 72 hours when the repeater is not used. Once engaged you can see the barrel unwinding at a faster pace. The amount of chimes will effect the length of power reserve left with the chimes for 1:00 taking away the least, and 12:59 for the most. 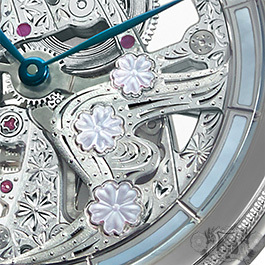 The barrel visible through the dial is decorated in the motif of the bellflower, called Kikyo in Japanese. This is the city flower of Shiojiri in the Nagano prefecture, home of the micro artist studio where this Credor is made. Another beautiful attribute to the design of the GBLS998 is the expression of an eagle (a native bird to Shiojiri) cut out of the skeleton dial starting from around the 7:00 reaching to the 10:00. As the repeater is activated, you can see parts moving within the eagles shape giving a vague similarity to the wings of the bird in flight. I truly enjoy the local and natural influences Seiko expresses in their timepieces. I see it as showing great pride of where they are from, the natural habitat surrounding them and obviously, the intense labor and thought that goes into their watchmaking. 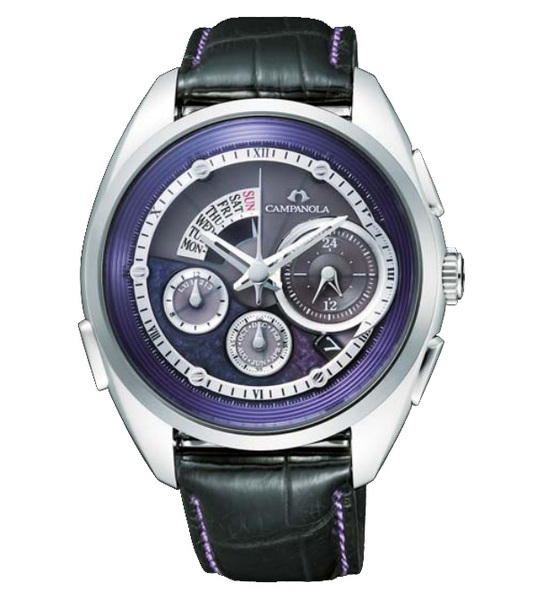 The 112 jeweled, 660 part movement has caught very much attention in the watch industry. Not only is it supremely complex, but is also tremendously finished. The labor that goes into this piece is something not to be taken lightly, as nearly all 660 parts are actually finished by hand. 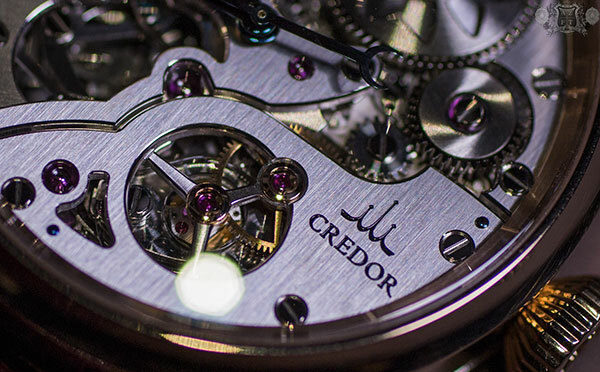 This extensive method is something you will only see in the most luxurious timepieces, and the Credor is no exception. You can clearly see all bridges, mainspring barrel and various other parts are finished to the utmost detail. Even items such as gears and screws are completely hand finished, with the smallest part as tiny as 0.3mm. There is a lot to be said of the craftsmen in Seiko’s micro artist studio, all to the highest level of compliment. 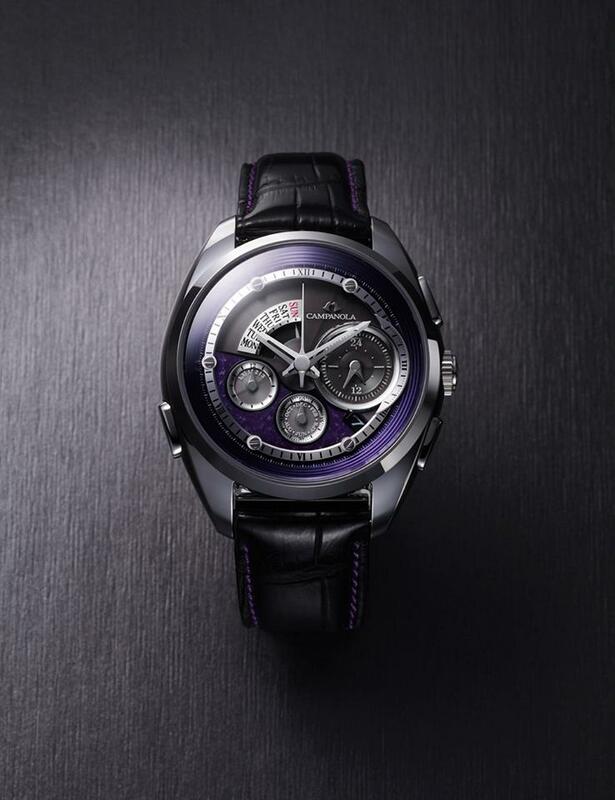 You may notice unique shapes to the the bridges both front and back, with very precise beveling and chamfering that make you think of one of the most renowned Swiss watchmakers in the world, Phillipe Dufour. 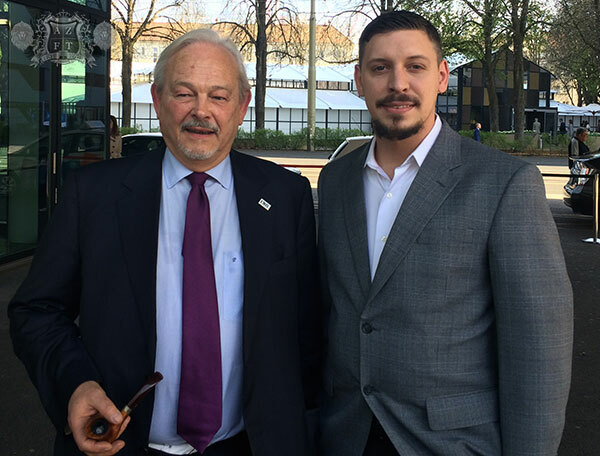 A couple of days after our meeting with Seiko and viewing the Credor, we were walking out from lunch and as we came out the door, we were fortunate enough to cross paths Mr. Dufour. For those who don’t know of Phillipe Dufour, he is known as one of the finest watchmakers in the industry today, making his timepieces almost completely from scratch and has rightfully achieved what has become known as one of the finest movement finishes in the world. 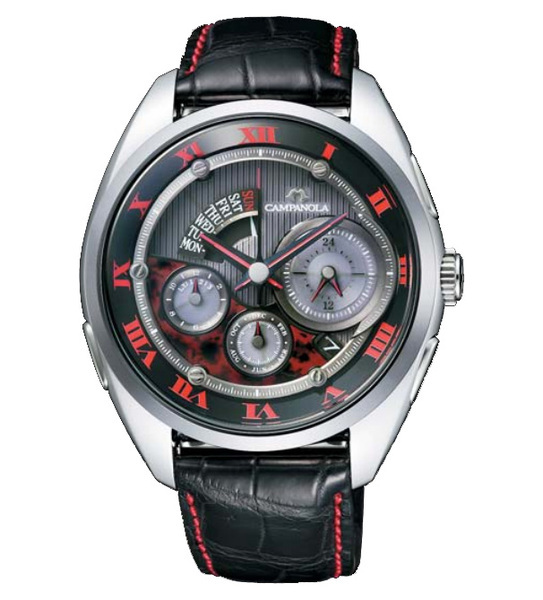 To obtain his timepieces you have to be lucky and extremely patient. With a waiting list measured in years, you can expect to pay in the high five figures for his least complicated piece (the Simplicity). If you are fortunate enough manage to get your hands on any of his other pieces, the Duality or Grande Sonnerie, you can easily expect to pay much more. We had a great conversation with the legendary watchmaker ranging of course from watches, to pipes and cigars, and even the world today. A notable part of our conversation was when we explained to Mr. Dufour our strong relationship with Seiko, and especially Grand Seiko products. Dufour himself seemed enamored with Spring Drive discussing how amazingly smooth and accurate they are. Then, he said “but not just Grand Seiko… Credor!”. We knew there was some tie with Dufour and the Micro Artist studio as you can see the influence, but we were not quite sure how. We asked if Seiko had contracted him, but it did not seem as so. He did say that he has visited the studio, and was raving about the quality of finish found on the Masterpiece models of Credor, the Minute Repeater and the long sold out and more simplistic “Eichi”. To receive such high compliment from the likes of Mr. Dufour is incredible in itself. The man is a legend (which is what I said as soon as I saw him), incredibly funny, and over all, extremely nice. We’d like to thank him for his time, the great conversation, and let him know it was truly an honor to meet him. Getting back to the Credor itself… Another one of the most memorable parts of this trip (aside from meeting Dufor) was actually getting to try on the GBLS998. It is amazingly gorgeous when worn, sounds impeccable, and was certainly a highlight of the trip. I mentioned the size at 42.8mm wide, 14mm thick and as you can see in the picture above, has a beautiful curvature making it sit comfortably on my 7″ wrist. The crown is fairly large, making it easy to wind (as this model is manual wind only), and this piece also has an added function that prevents the repeater from be activated with the crown out to set the time. 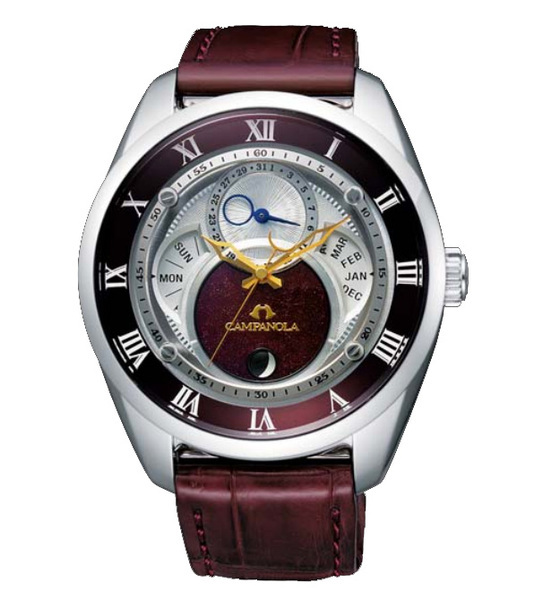 The band is a stunning high gloss burgundy brown with 18k pink gold three fold deployment clasp. The dial is compelling, with a vast amount of artwork and craftsmanship to look at, and the beautiful broad blue steel hands adding great legibility to the skeletonized piece. Of course, the motion of the second hand in any Spring Drive timepiece is mesmerizing, which is an added bonus to this repeater. The Seiko Credor Masterpiece Spring Drive Minute Repeater GBLS998 has a retail price of 33,000,000 Yen before tax, roughly $325,000 USD at todays exchange rate, and is currently the most expensive Seiko timepiece ever produced. 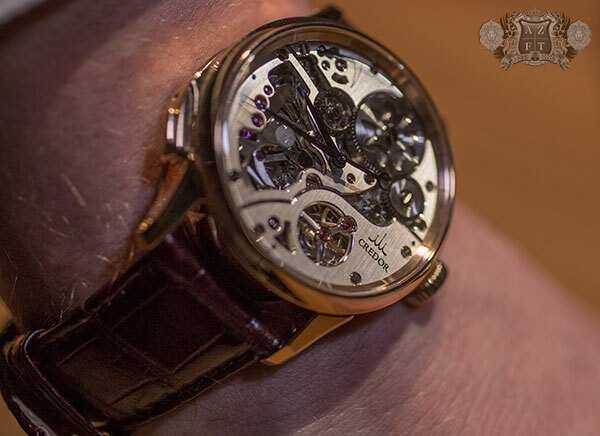 The significant sum that this piece comes to is very common for this type of complication, as minute repeaters in general are considered to be one of the highest regarded complications in watchmaking. 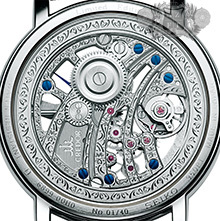 The fact this Credor is the worlds most accurate piece of this complication driven by a mainspring as its sole power source (for both time and chime), and having the purest sounding repeater chimes with no distractions from the escapement or governor, alone puts it at a level no one can compete with. The craftsmanship that goes into the finishing puts it to another level of art, easily proving its worth. This is a completely unique and rare piece, with a maximum capacity of only 3 pieces that can be produced in a years time. The Credor logo expresses reaching to the top of the highest mountain, and is fused with three stars to reach the heavens. If one piece was considered to demonstrate the achievements as shown in this symbol, this piece would be the one. We would like to thank Seiko for this tremendous experience and truly express our gratitude for allowing us to see their amazing achievement in horology. It was truly an honor. If you have any questions regarding the Credor Minute Repeater, please call us at 1-800-486-3996 or submit an inquiry through AZFineTime.com.